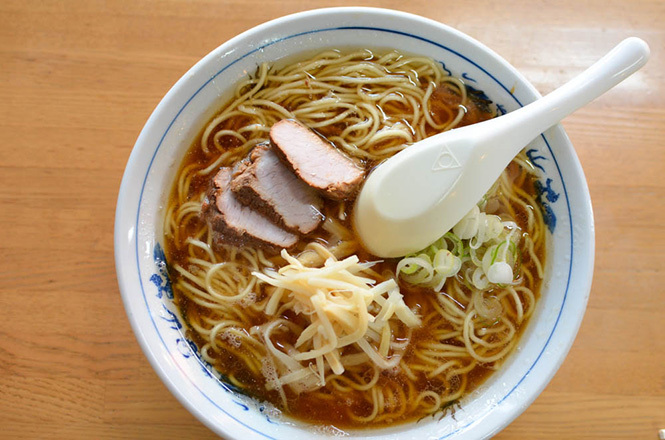 Speaking of Hokkaido ramen, Asahikawa ramen with soy sauce ramen, Sapporo ramen with miso ramen, Hakodate ramen with salt ramen are famous. 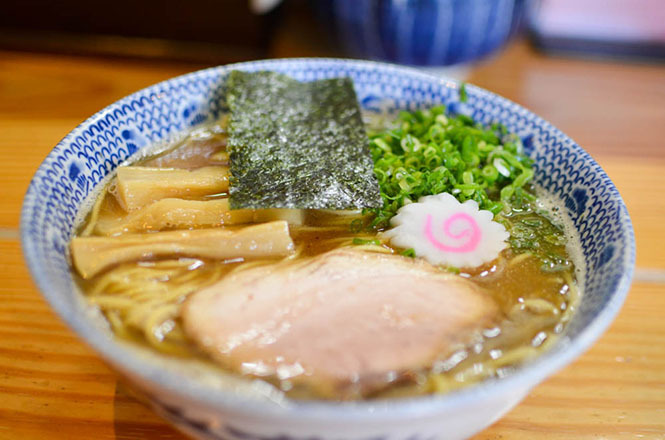 Those are different from a kind of soup and noodles, and became famous for instant noodles and have been known as famous ramen brands. 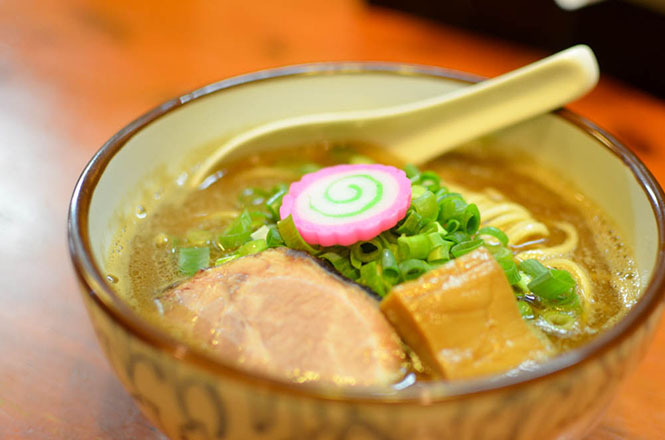 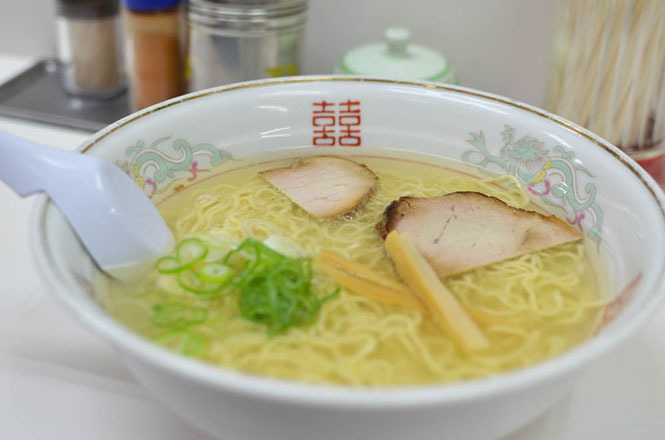 Kushiro ramen and Muroran carry ramen have been making efforts for many years to catch up with and surpass those brands. 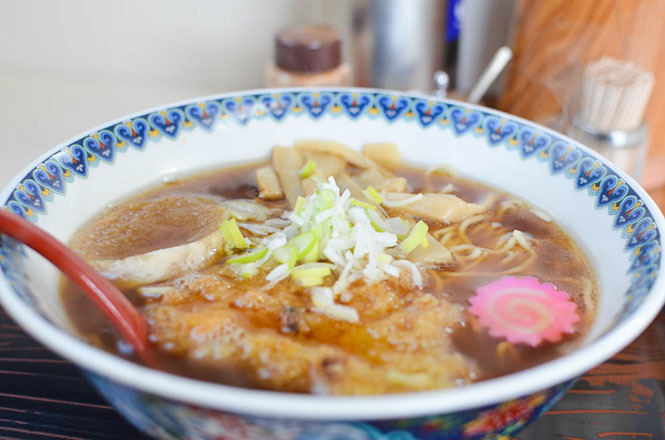 Those are local ramen attracting people’s attention as the fourth ramen in Hokkaido. 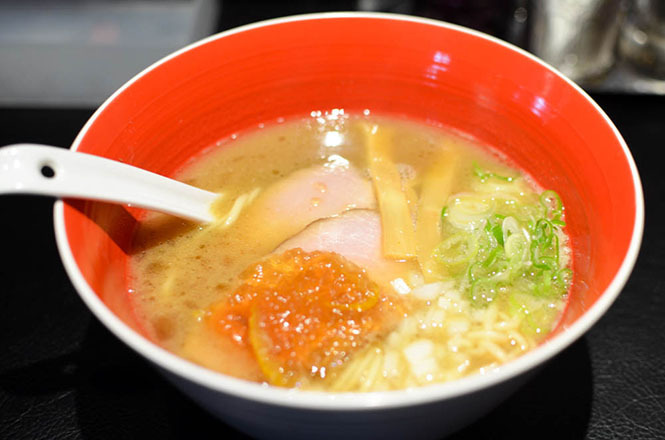 However, various ramen came to be eaten recently in various area. 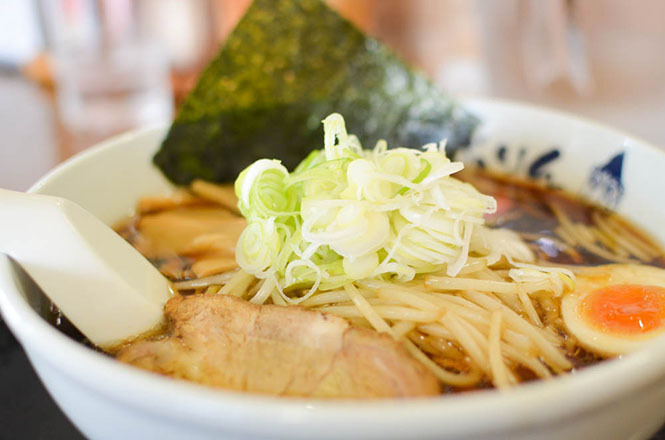 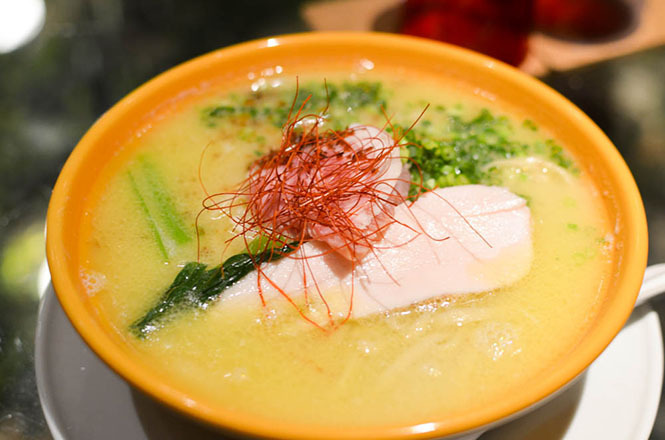 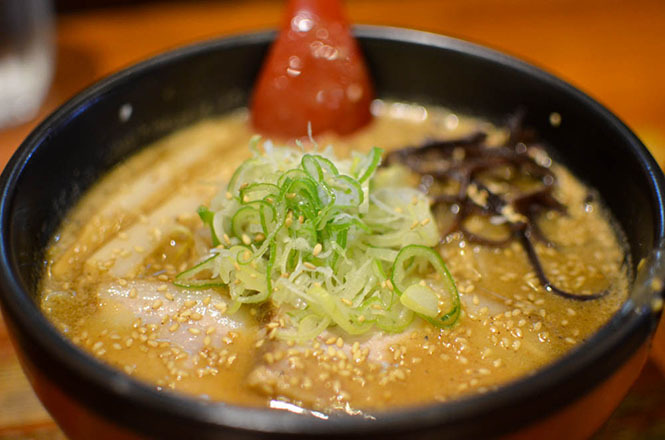 Because there are many ramen restaurant called well-known restaurants in many area as well as these brand ramen, the ramen of Hokkaido has many tasty ramen. 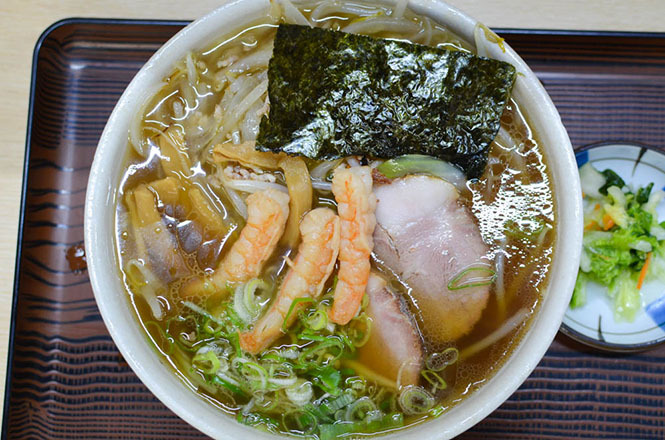 Asahikawa ramen bases on double-soup that are made soup broth from seafood and pork bones or chickens. 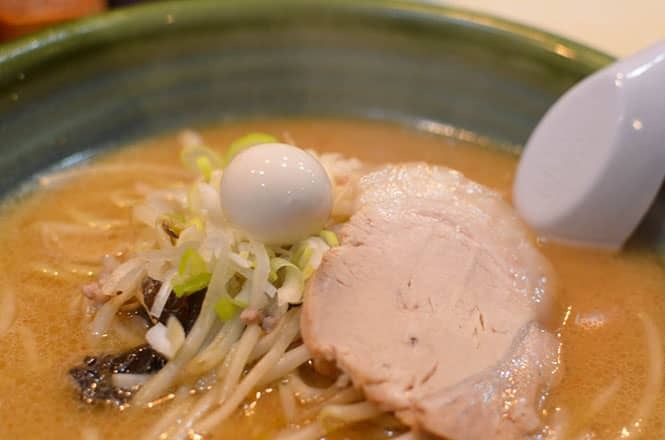 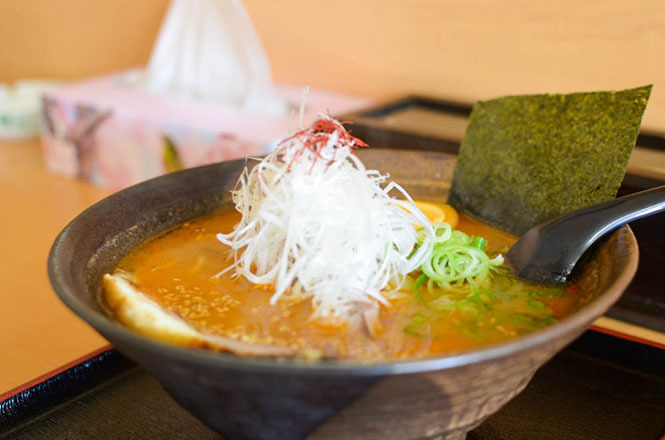 Asahikawa ramen is famous for soy sauce soup, Of course visitors can order salt ramen and miso ramen at common ramen restraunts. 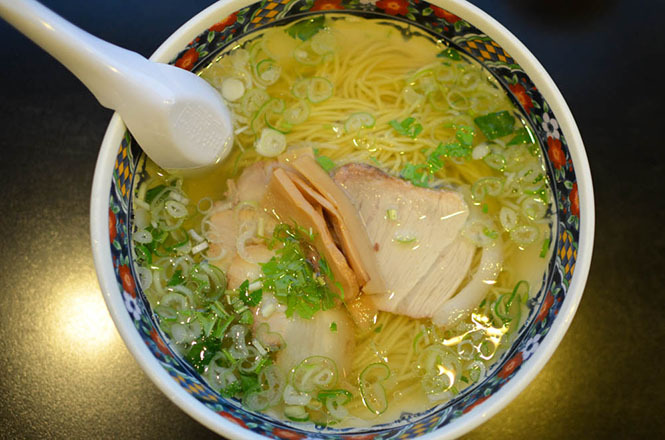 Noodles are often used curled noodles made by Kato Ramen, Fujiwara Making-Noodles Factory and Sudo Making-Noodles Factory, green onions, bamboo shoots, roasted pork filets are common ingredients. 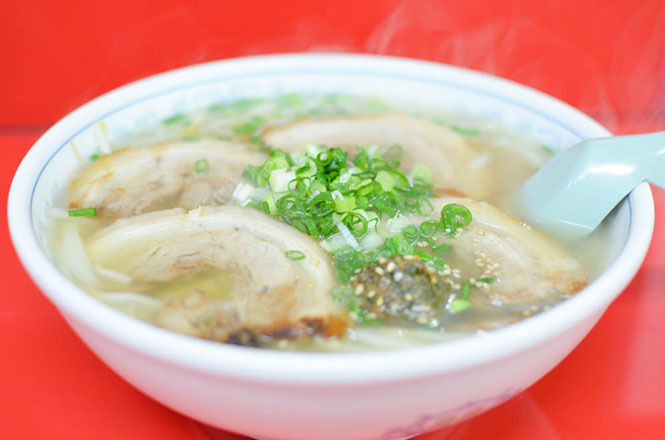 A lard is used not to miss heat of the ramen and a fat film is made on the surface of the soup, and it plays a role as a cover. 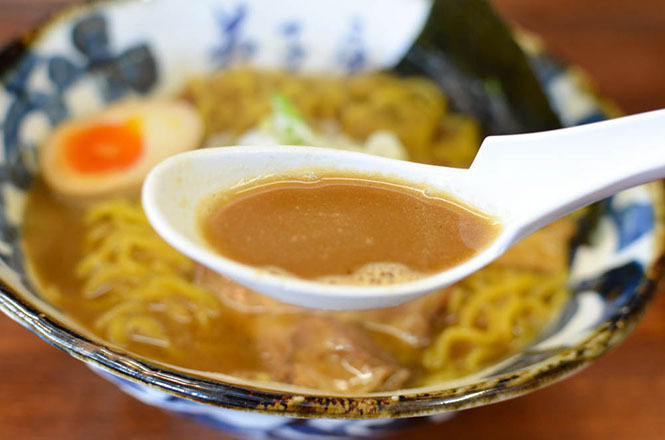 This is a special feature of the north part of Hokkaido’s ramen. 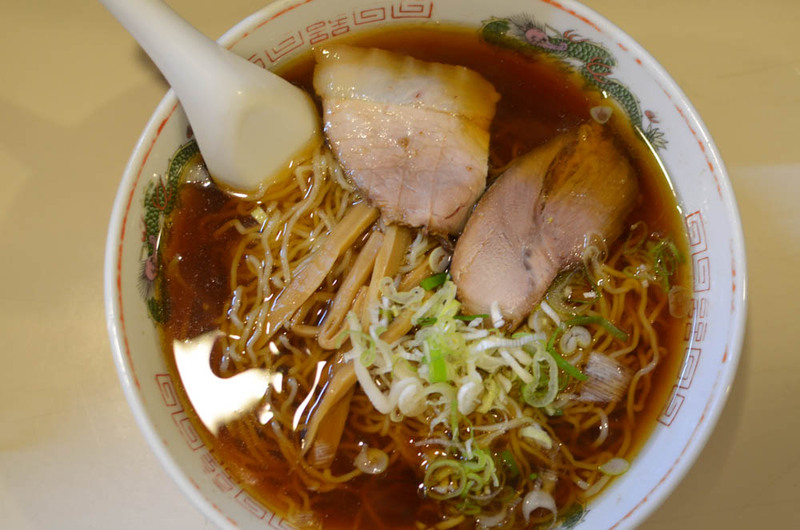 By the way, there are approximately 500 ramen restraunts in Asahikawa and ramen commercial facility, too. 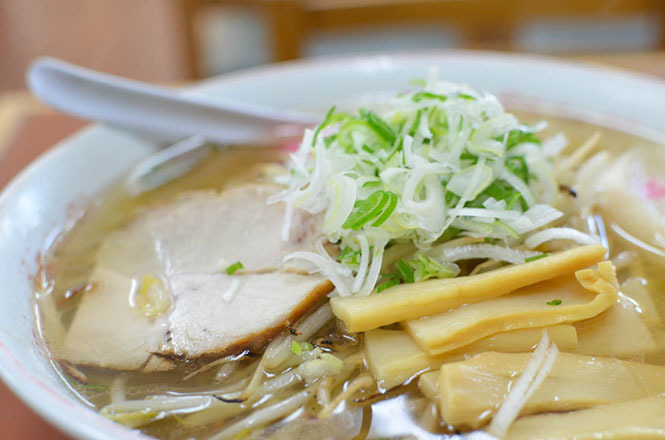 Asahikawa Ramen Village become popular by people from different countries. 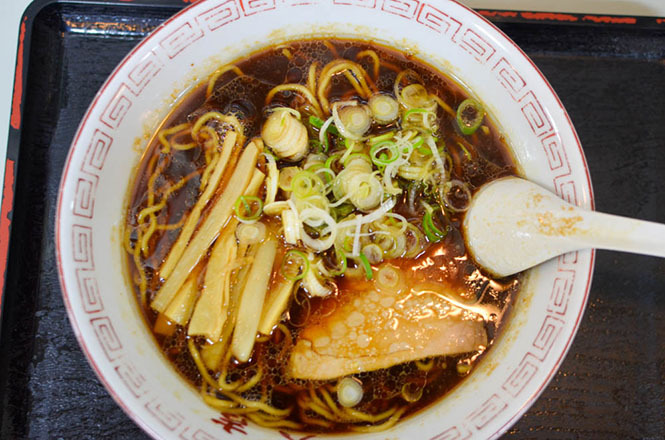 Speaking of Asahikawa ramen, the soy sauce ramen is too famous. 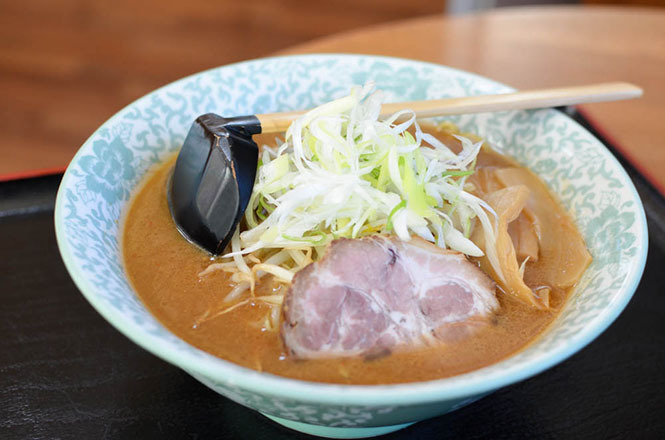 It may be said a traditional well-established taste. 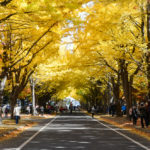 Hachiya, Tenkin, Aoba, Mizuno, Tsuruya, Baikoken, Ichikura are famous. 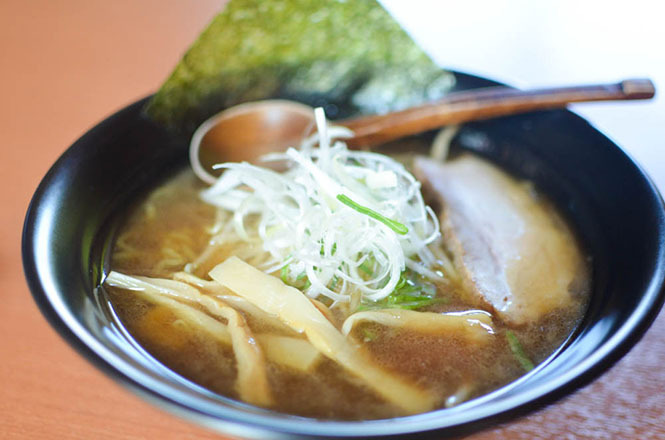 Hachiya and Ichikura got Bib Gourmand in MICHELIN GUIDE Hokkaido 2012 Special Edition. 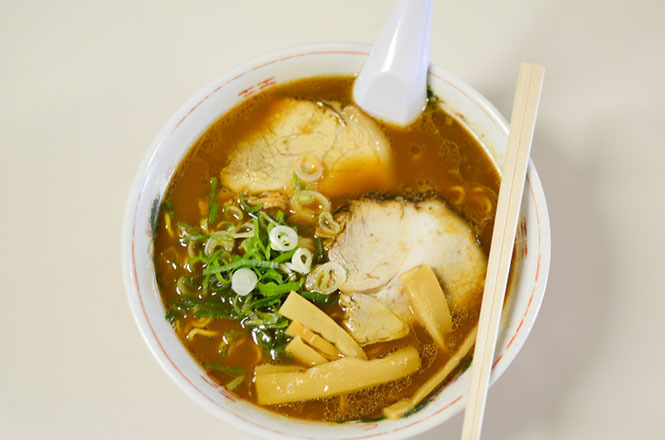 Unexpectedly, miso ramen become popular in Asahikawa, too. 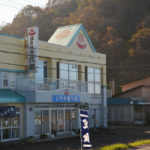 Furuki, Yoshino, Daidaiya are famous. 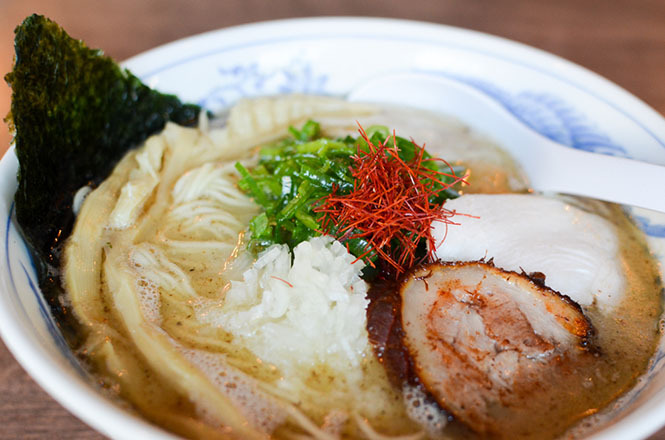 Salt ramen is no lightweight. 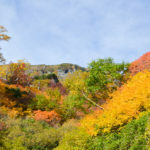 Santoka and Sugawara are famous. 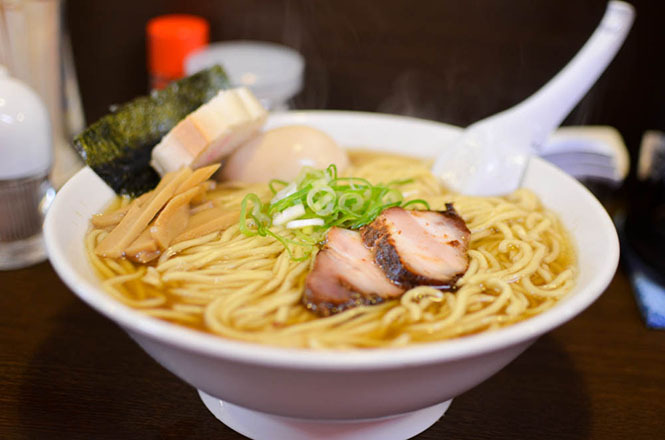 Santoka develops many ramen restraunts in the world and they spread a taste of Asahikawa ramen. 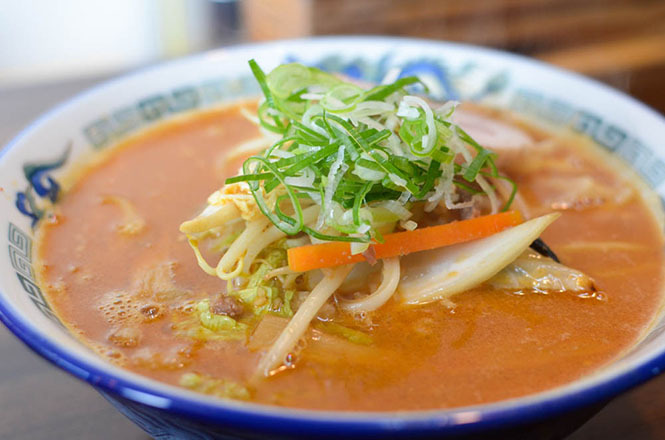 Asahikawa Ramen Village is a ramen commercial facility that famous ramen restraunt open a branch. 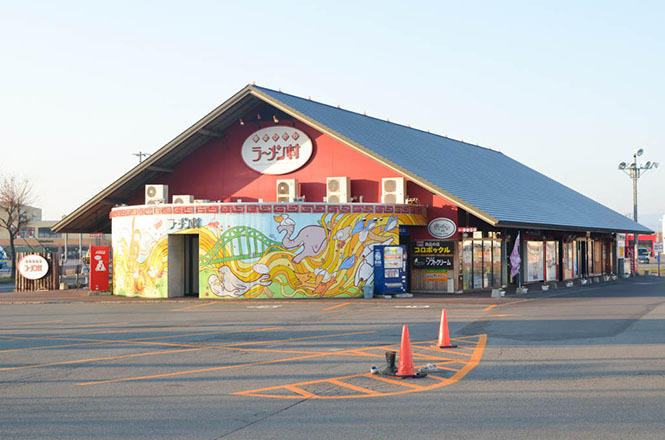 There is a building on shopping commercial facility, Powers. 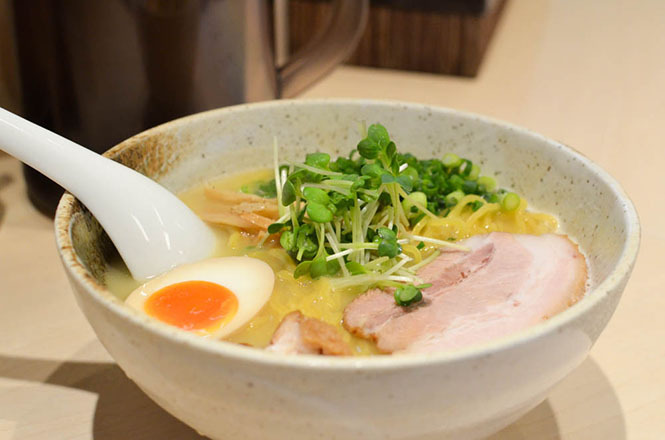 Tourists can enjoy various ramen here. 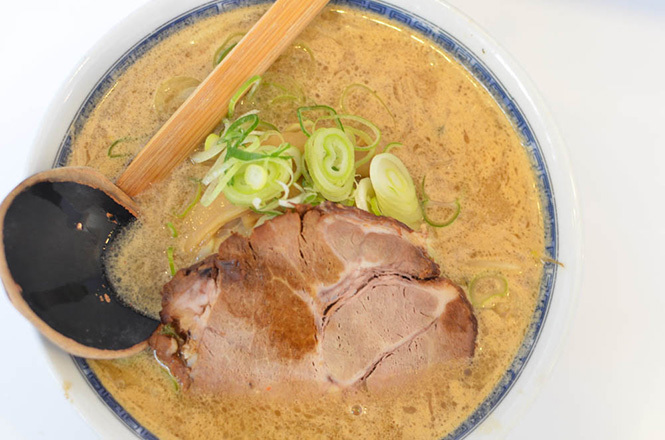 Sapporo ramen bases on pork broth soup. 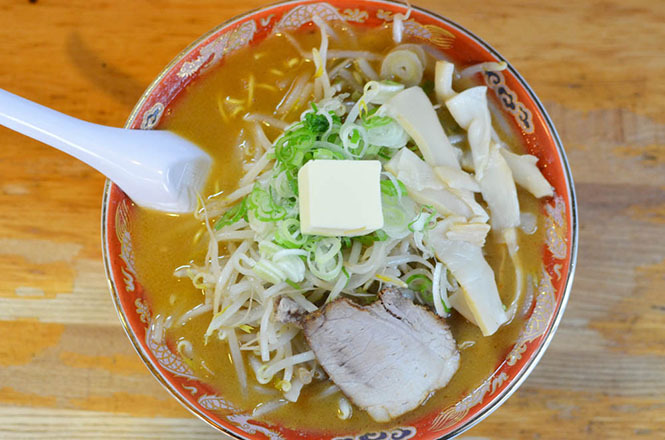 Miso ramen is famous. 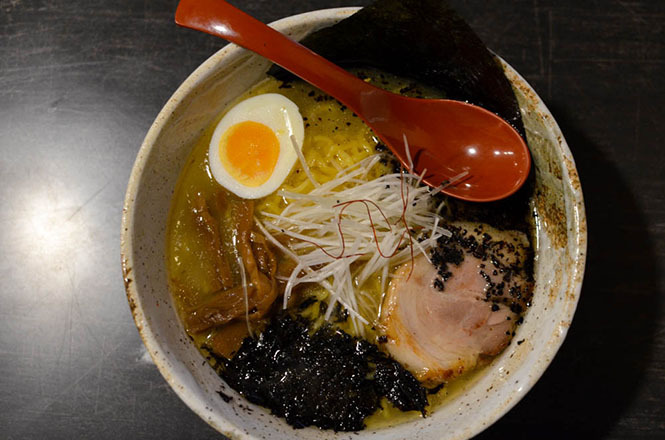 Of course, salt ramen and soy sauce ramen are served. 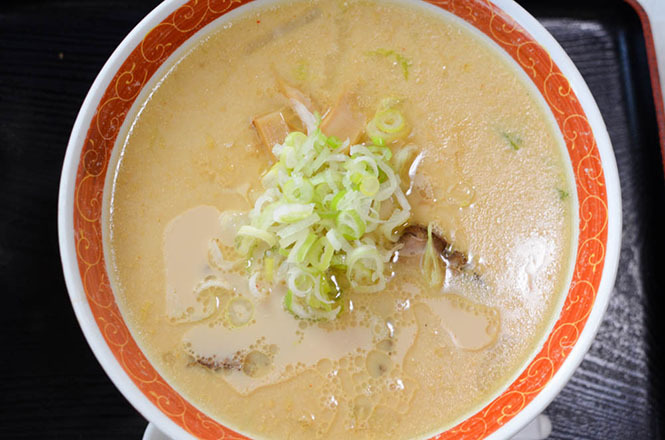 But a kind of soup is varied and is outside of the box. 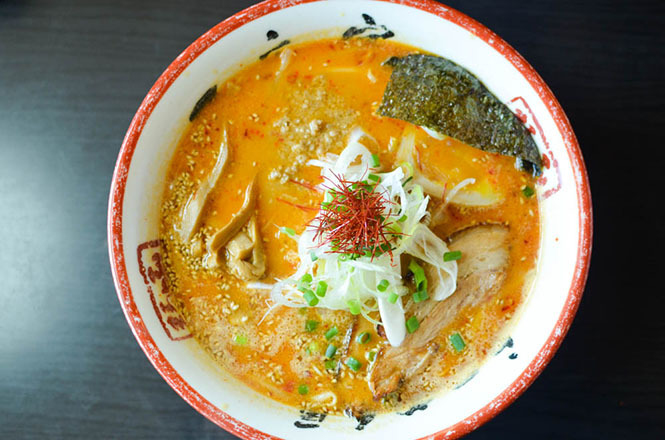 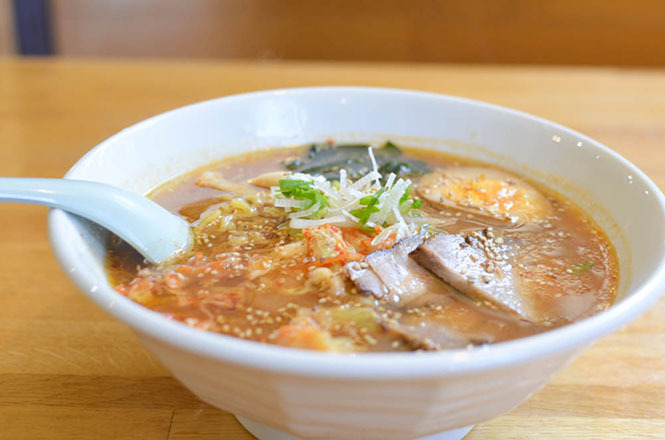 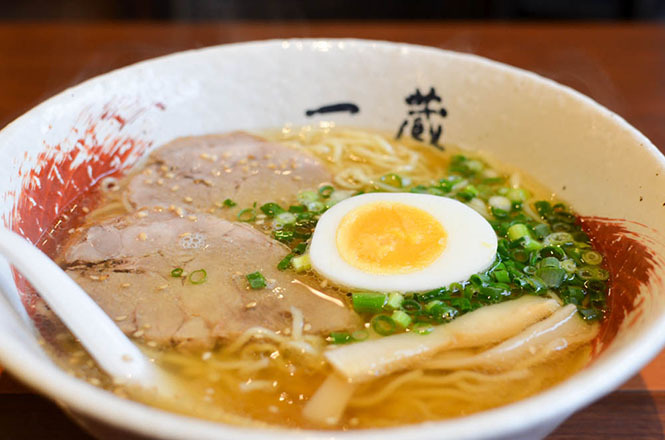 Sapporo ramen roughly divided into miso ramen type, long-establish ramen restraunt type, chicken broth soup type, shrimp soup type, dried sardine soup type, vegetable potage soup type. 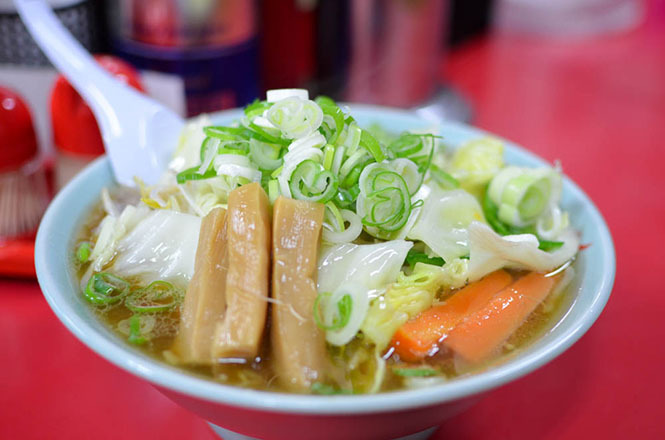 Curled noodles made by Nishiyama Making-noodles Factory, Morizumi Making-Noodles Factory, Sagamiya Making-Noodles Factory, Kanejin Foods, Kobayashi Making-Noodles Factory are commonly used. 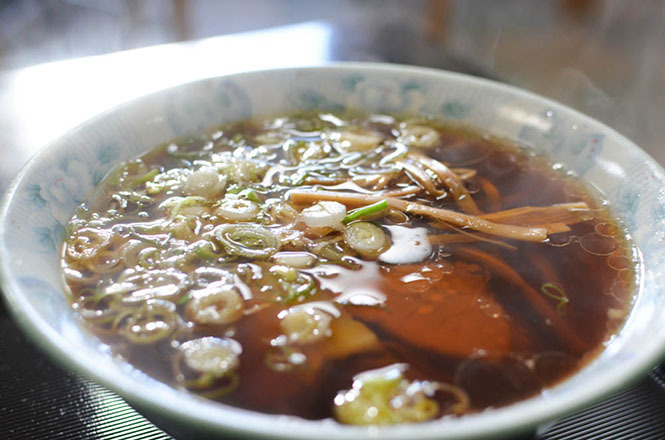 Common ingredients are green onions, bamboo shoots, roasted pork filets, fried bean sprouts, corns, a butter and etc. 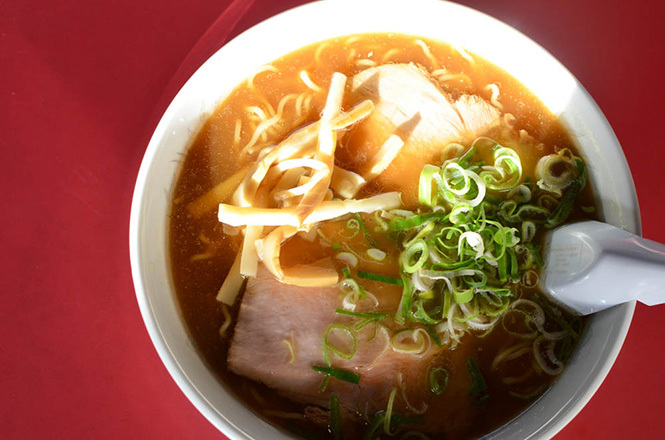 There are approximately 1000 ramen restraunts in Sapporo. 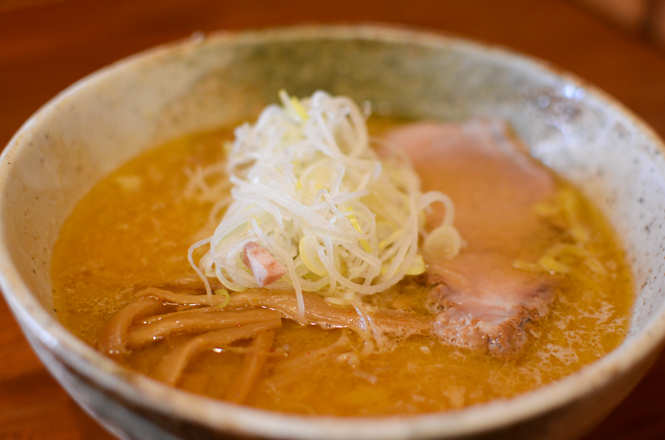 It is Aji-no-Sanpei that cooked the miso ramen for the first time. 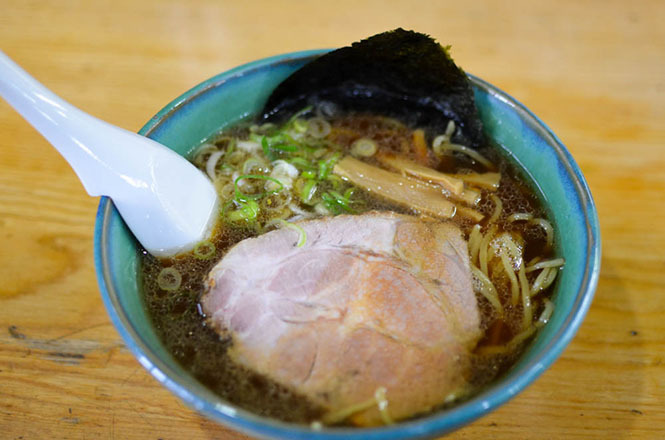 50 years have passed since then, many other well-established ramen restraunts, Sumire, Junren, Saimi, Ittetsu, Kiraito, Okami Soup, were born. 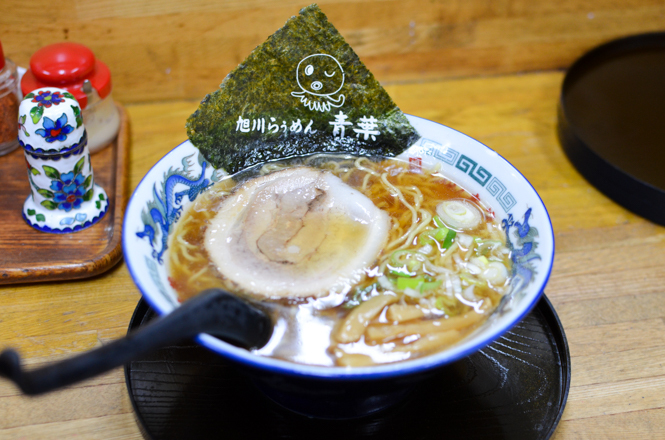 Representative ramen restraunts are Aji-no-Seichan, Horyu Head Store, Ramen Tstsuya, Higuma and etc. 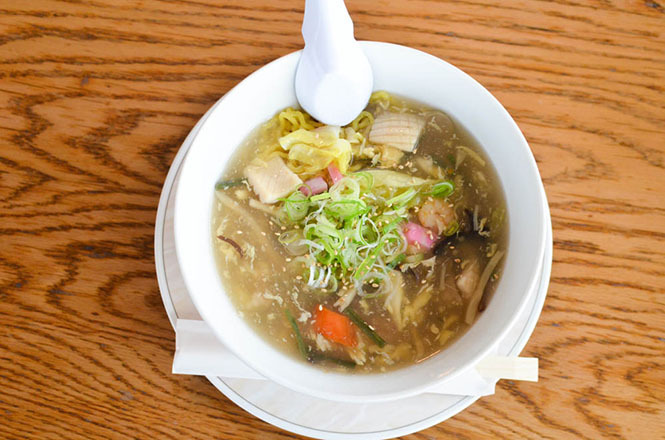 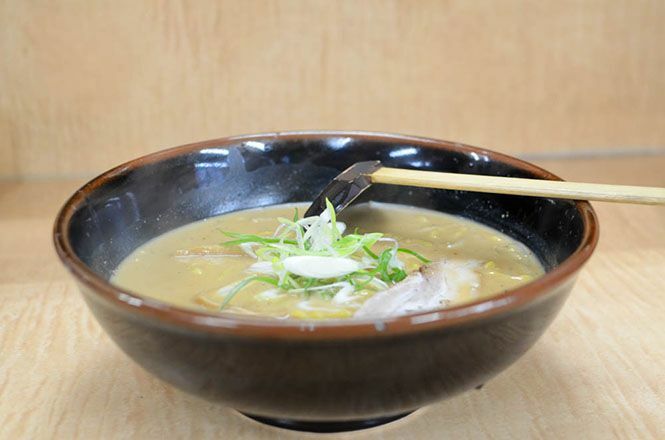 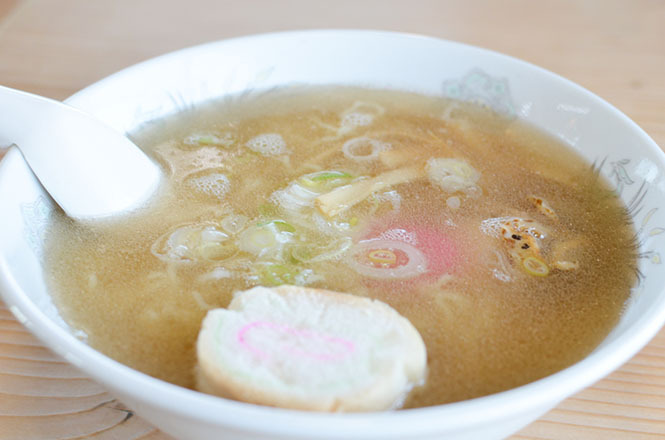 A Chicken broth soup is creamy taste and is light taste, but it has Umami and become popular. 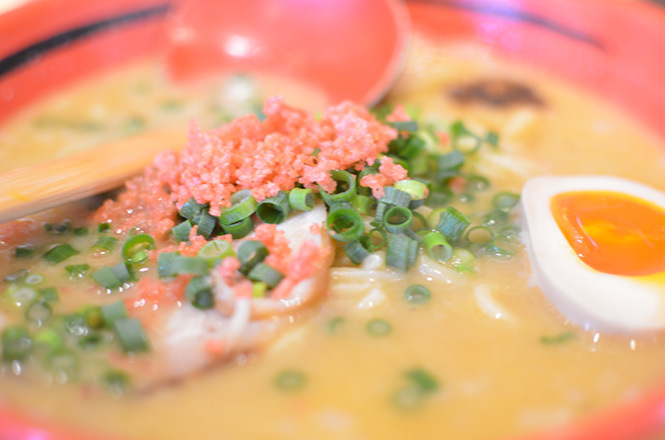 Nanabe, Keserasera and Sapporo Akaboshi are famous. 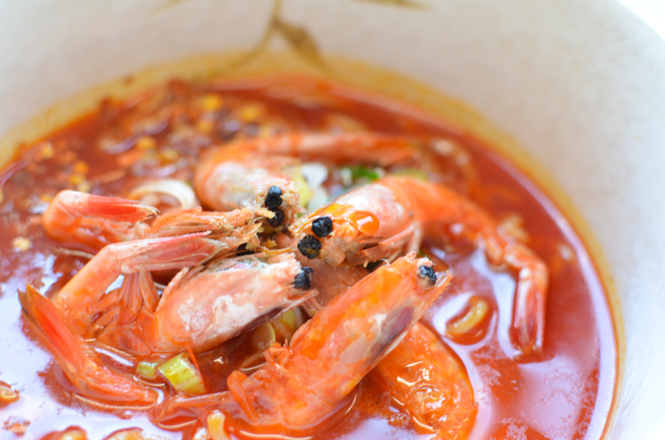 Shrimp soup has tasty rich soup. 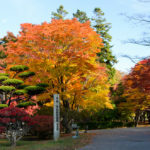 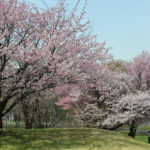 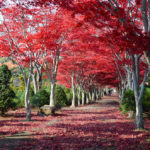 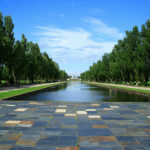 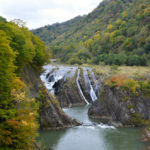 Enishiya, Ichigen and Men-no-hinauta are famous. 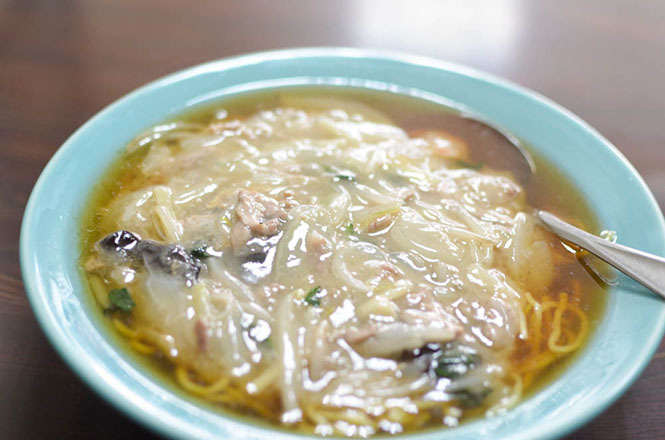 Dried sardine soup become popular recently. 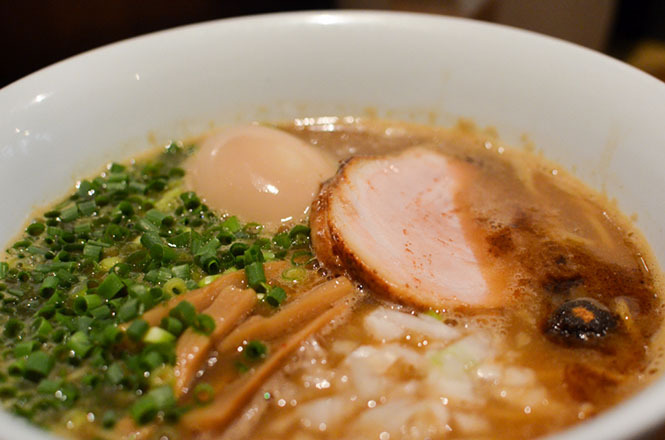 It is light taste, but it has Umami. 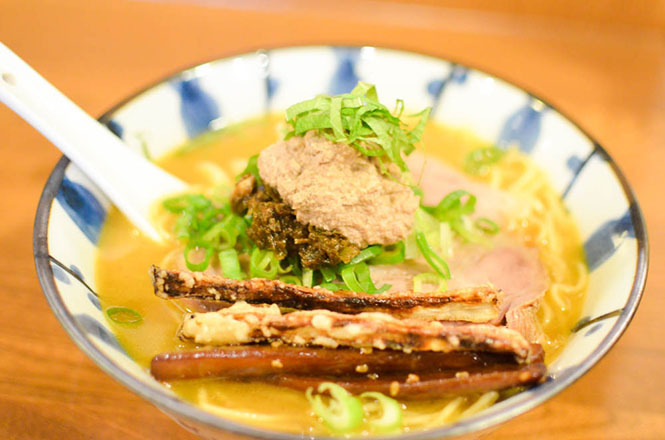 Wabisuke, Menya Takahashi, Mokuyobi and Men eiji Hiragishi Base, Ramen Yoshi are famous. 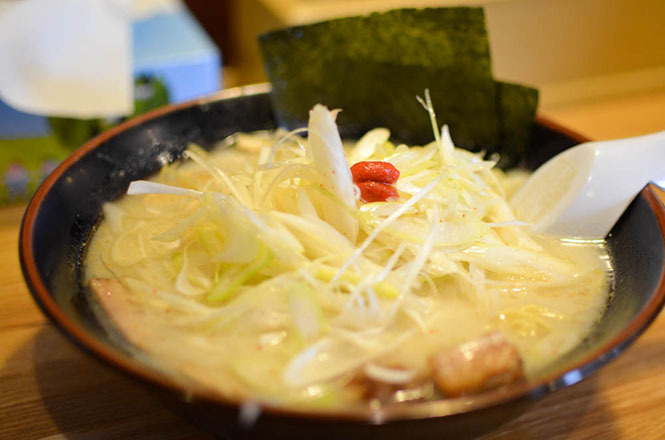 Vegetable potage ramen is healthy ramen like vegetable potage. 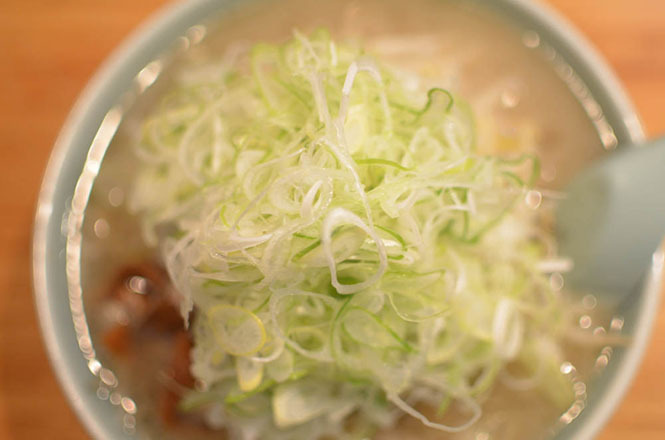 Vegie is famous. 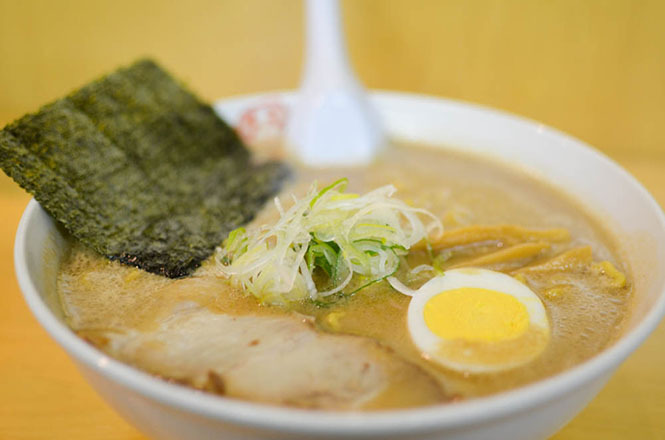 Sapporo Ramen Kyowakoku is a ramen commercial facility that famous ramen restraunts in Hokkaido and Kanto open a branch. 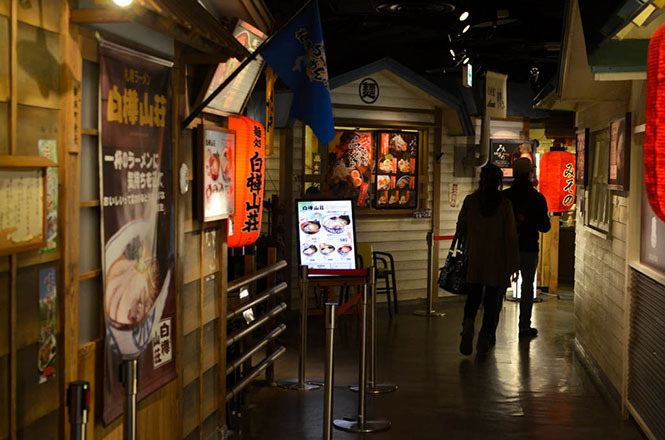 Tourists can enjoy various ramen here. 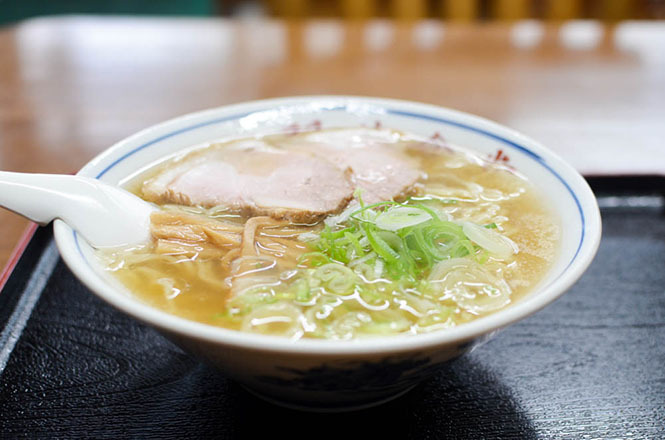 Hakodate Ramen bases on double-soup which is made soup broth from pork bones and chickens. 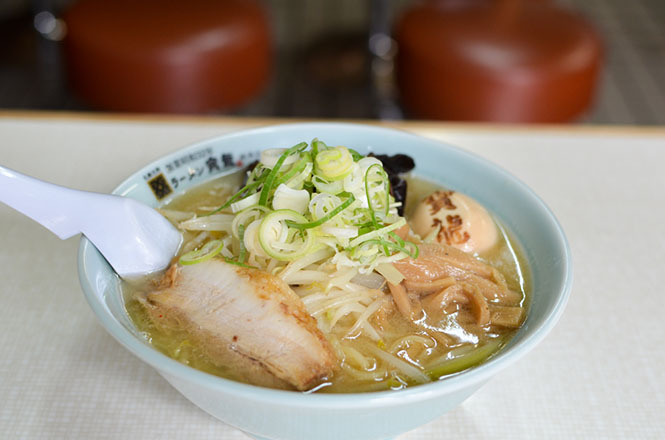 It is common ramen that soup is clear and salt flavor. 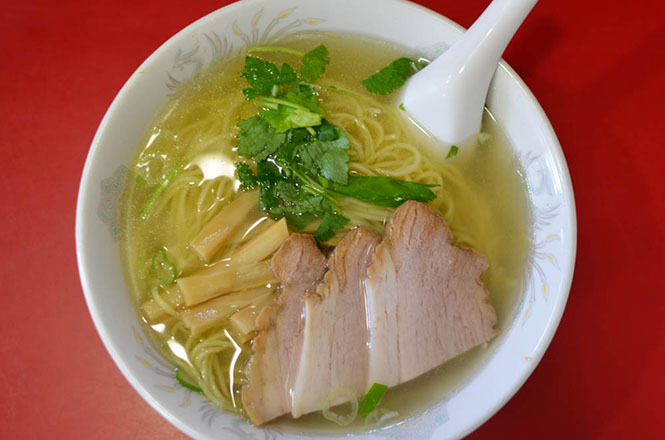 Noodles are used the straight noodles made by Okada making-noodles factory and etc, and ingredients are commonly used roasted pork filets, bamboo shoots, green onions, spinach and seafood. 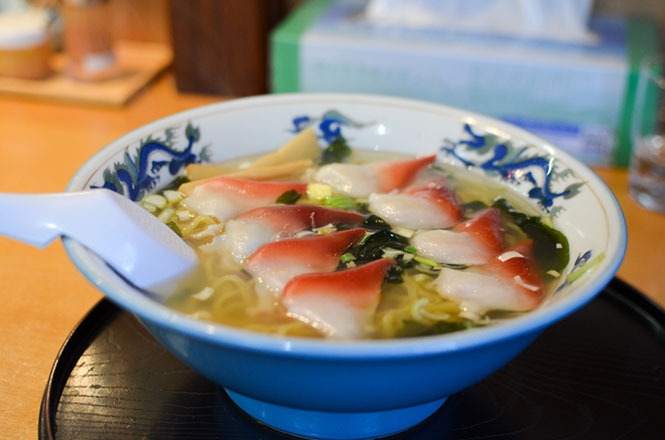 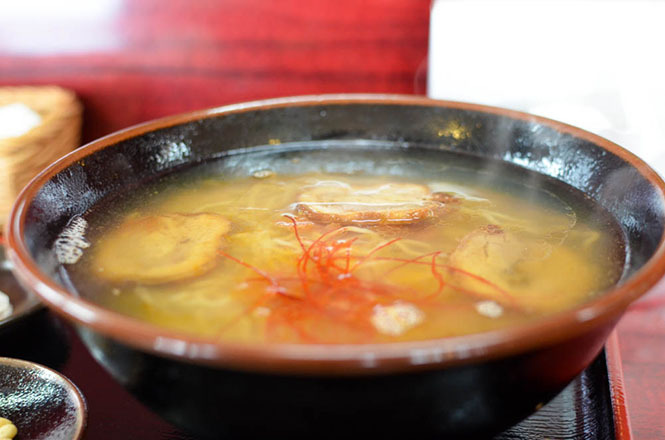 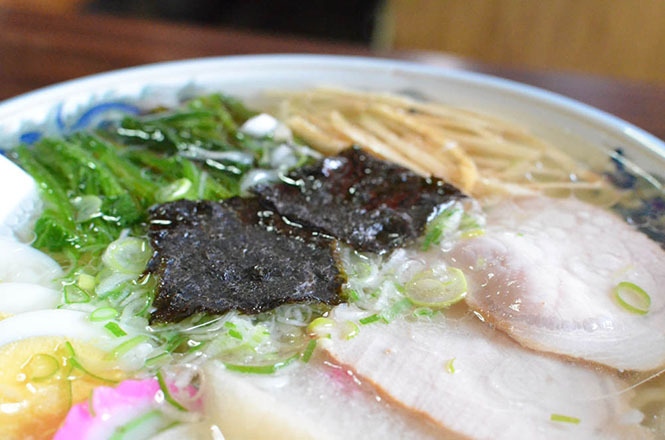 At Hakodate’s ramen restaurants, salt ramen is served without permission, if visitors order “Ramen” or “Chinese Noodle Soup”. 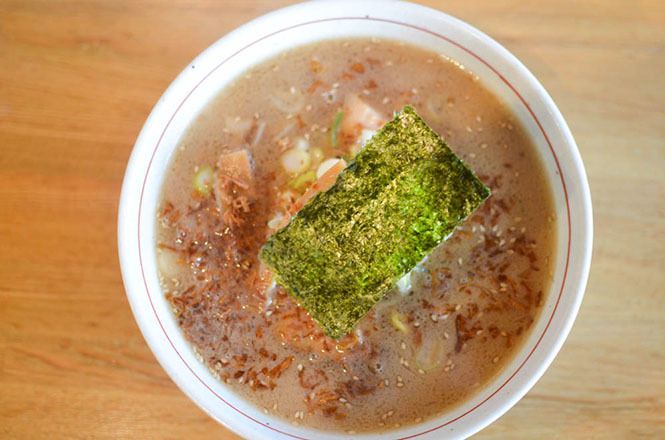 Speaking of the ramen, it is really salt ramen. 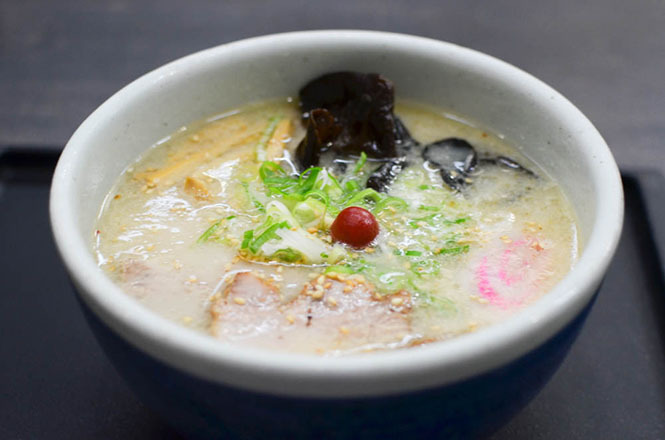 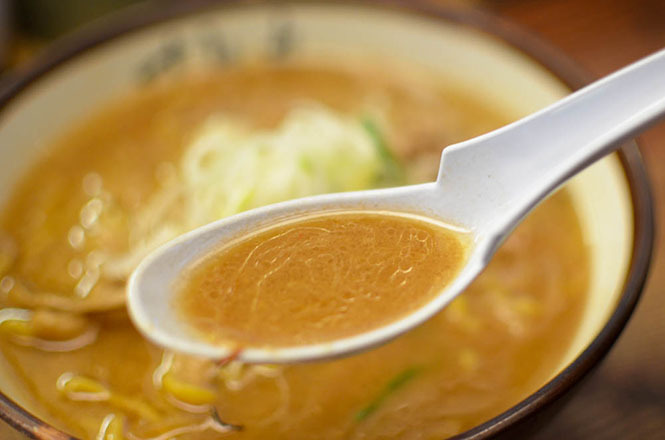 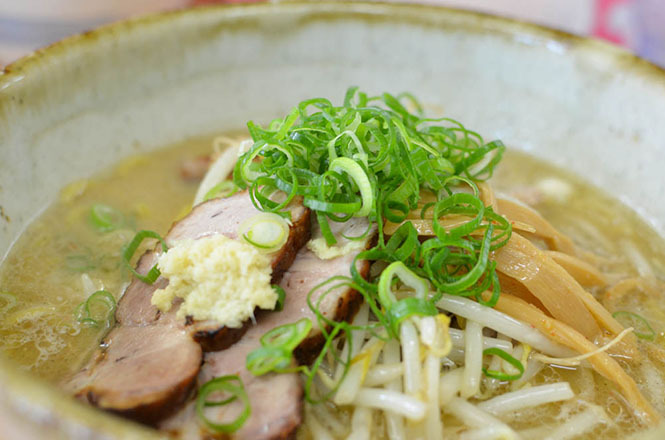 There are many ramen restaurants without miso ramen and soy sauce ramen on a menu. 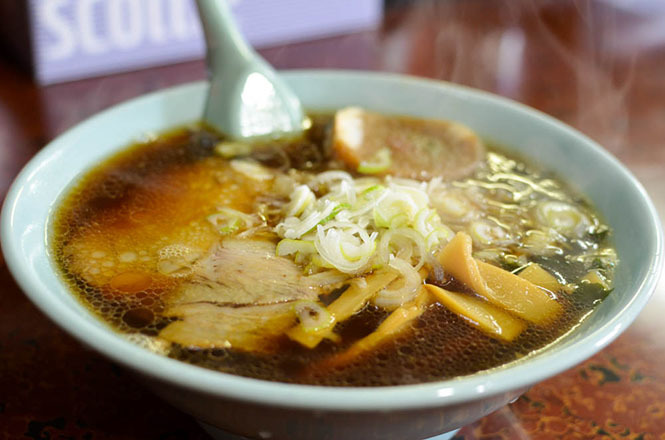 There are approximately 150 ramen restraunts in Hakodate. 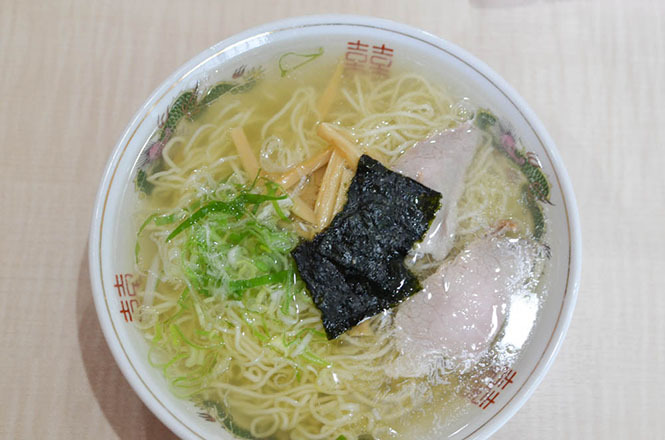 Kushiro Ramen bases on light taste soup which is made soup broth from Kelp, Chickens, Vegetables, Pork bone and Bonito. 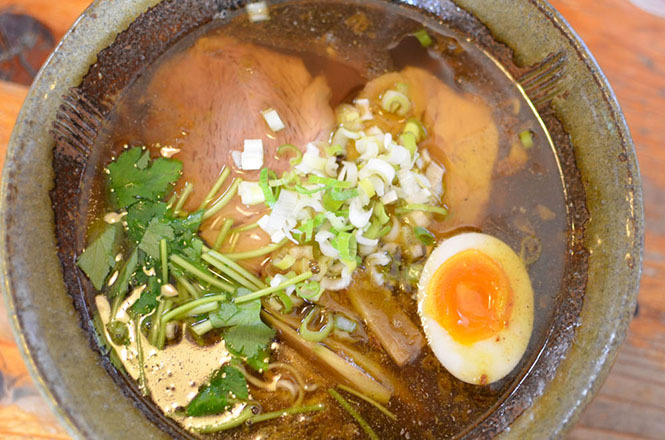 Soy sauce ramen is famous, but salt ramen was served. 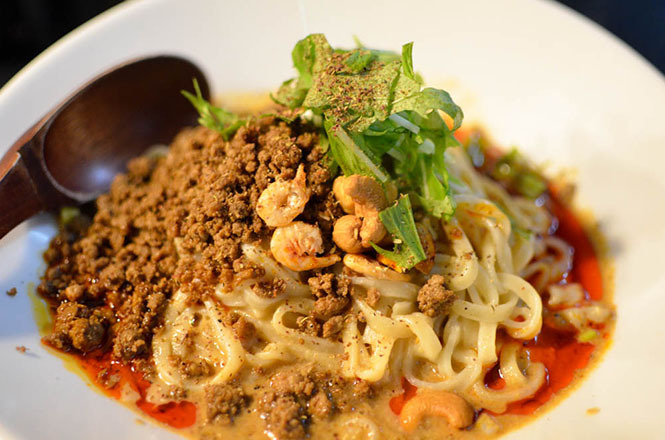 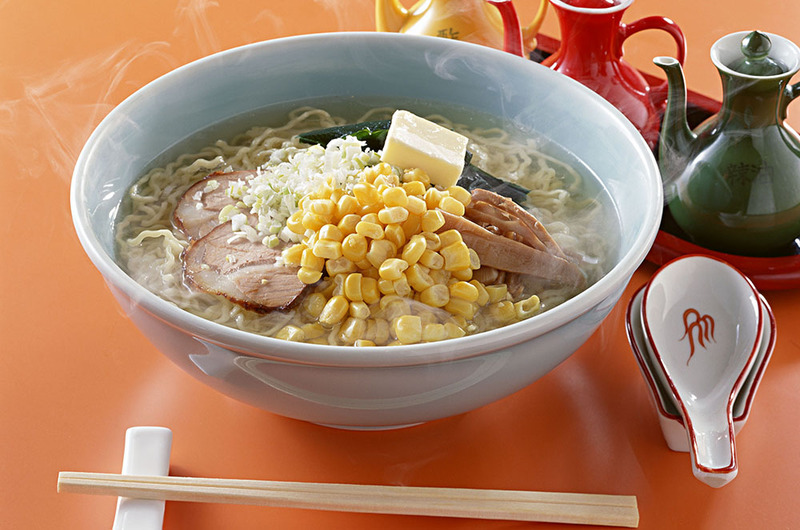 Noodles are commonly used the curled noodles made by Mihara making-noodles factory and etc. 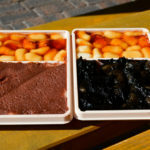 In addition, those does not contains an additive and a preservative at all. 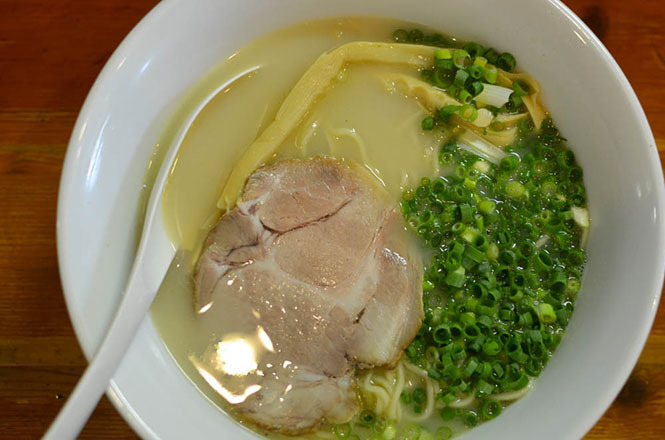 Ingredients are commonly used green onions, bamboo shoots, roasted pork filets and a dried laver. 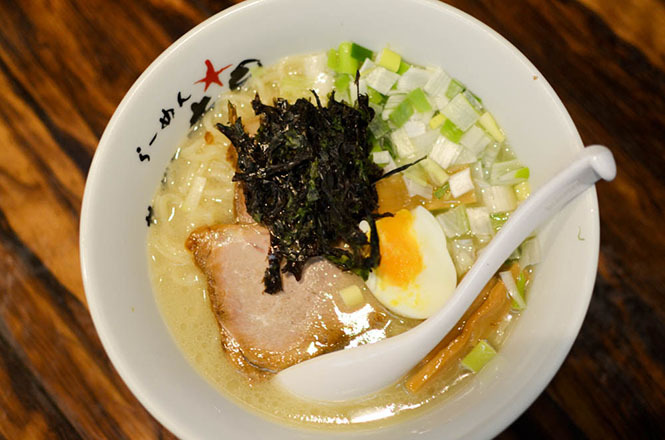 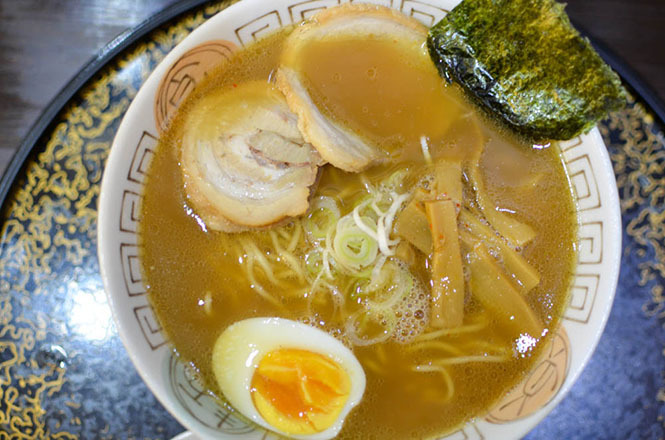 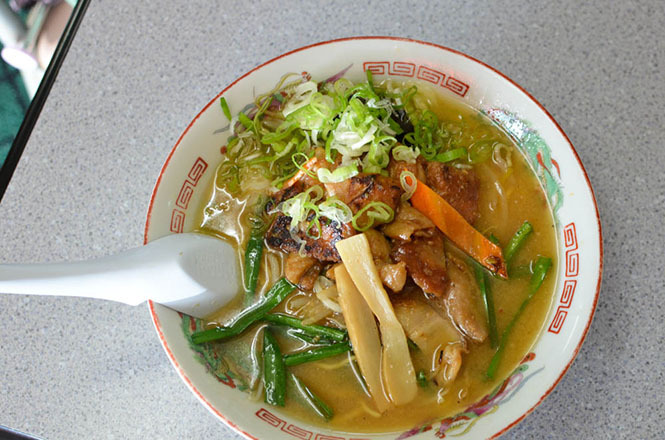 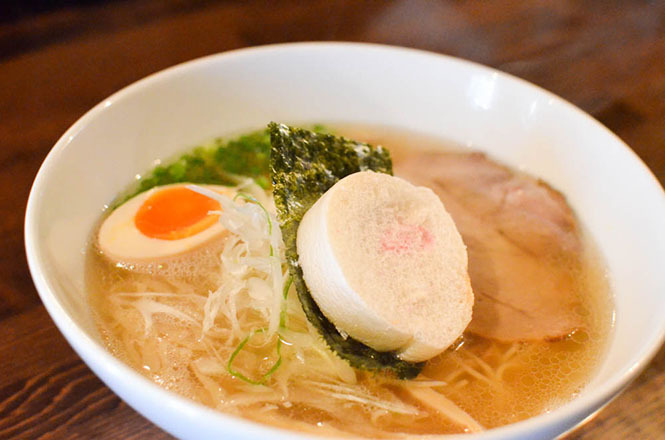 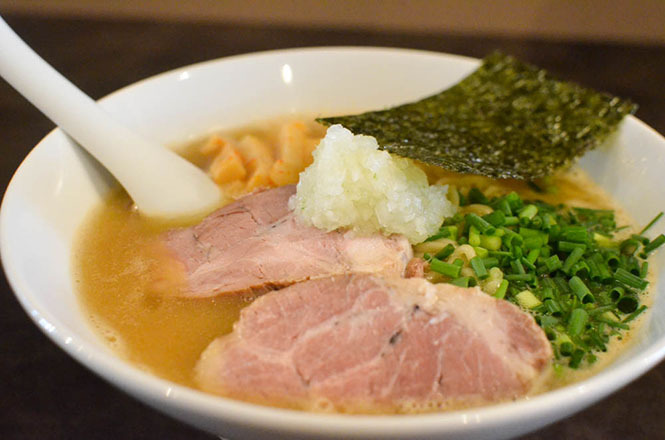 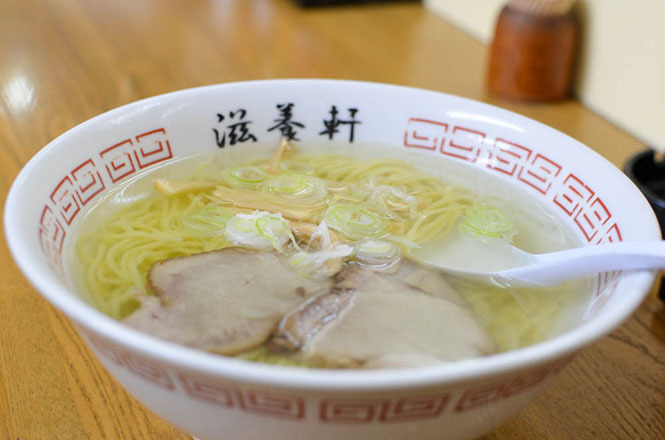 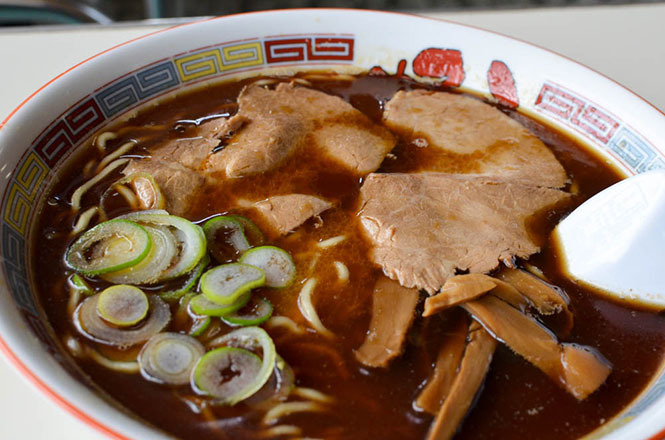 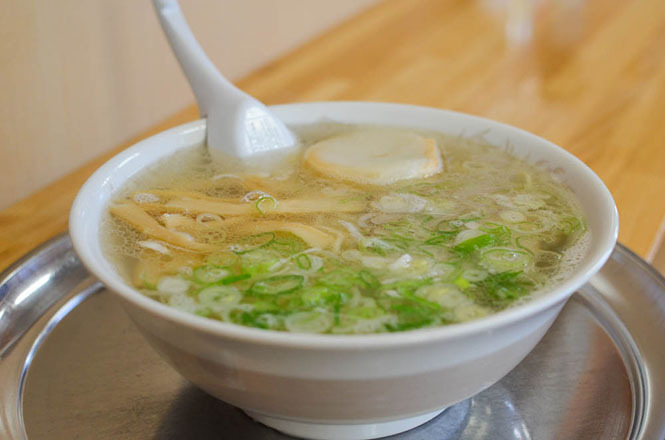 Kushiro ramen is eaten at approximately 100 ramen restraunts in Kushiro. 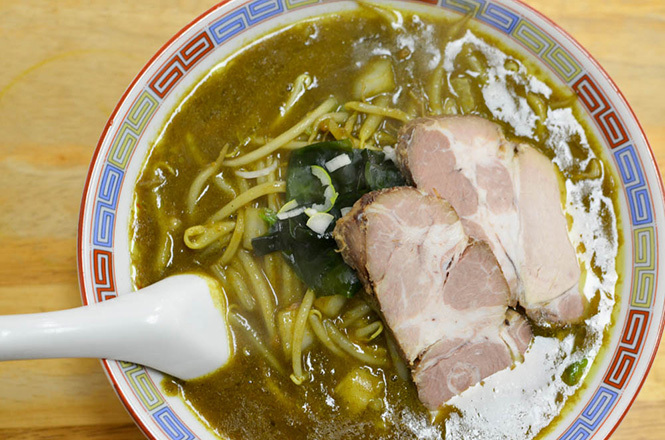 Curry ramen is the most famous in Muroran ramen. 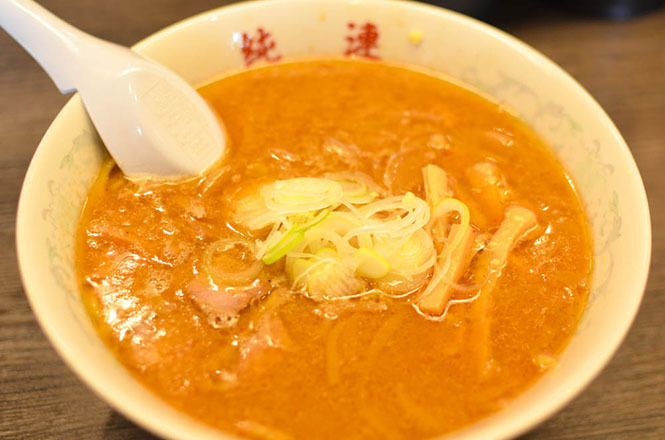 Approximately 30 ramen restraunts serve the curry ramen in Muroran. 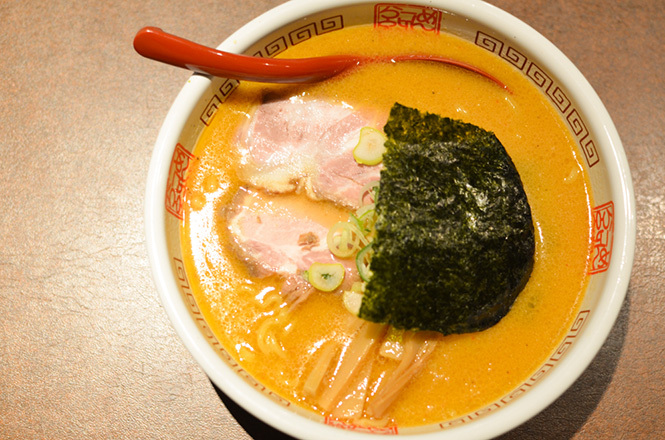 Each ramen restraunts cook original curry soup to go well with noodles. 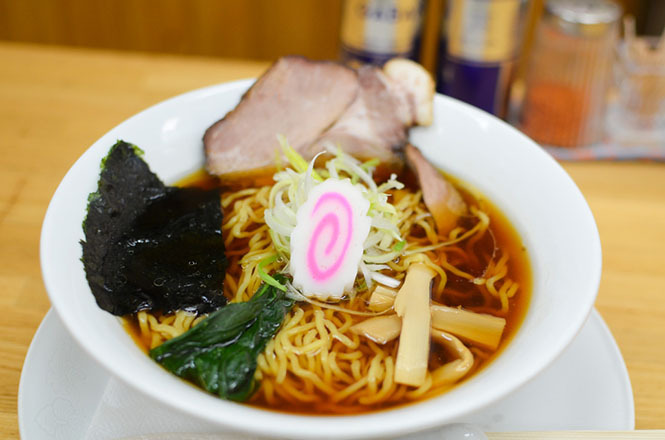 The curled noodles, roasted pork filets, vegetables, wakame seaweed are commonly used. 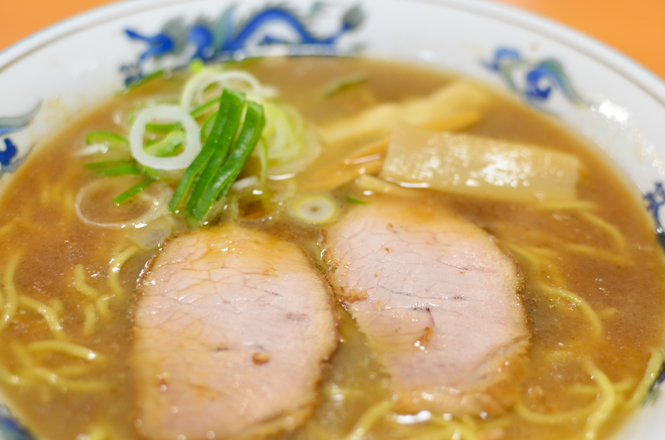 Of course, common ramen has been eaten since a long time. 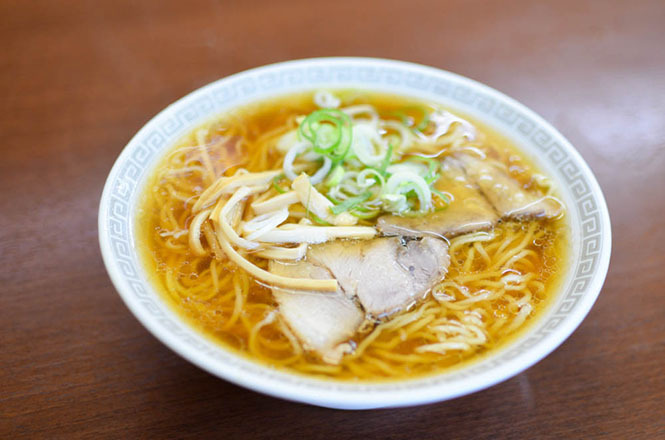 There are approximately 50 ramen restraunts in Muroran. 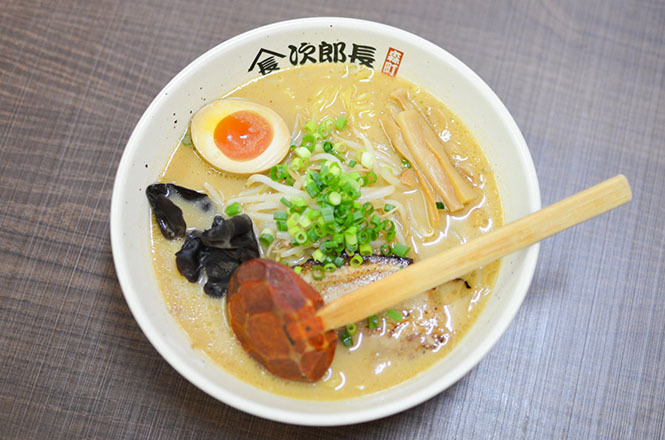 There is Aji-no-Daio Head Office called the originator of the curry ramen, and Toriyoshi, Jomon, Aji-no-Gojuban, Chonmaru Ramen, Ramen Kiwami are famous. 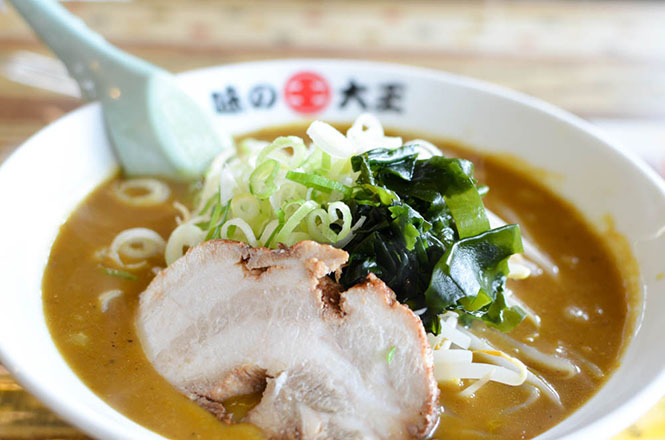 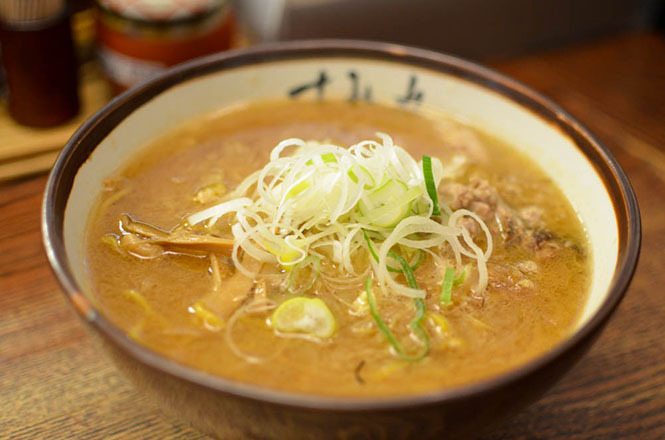 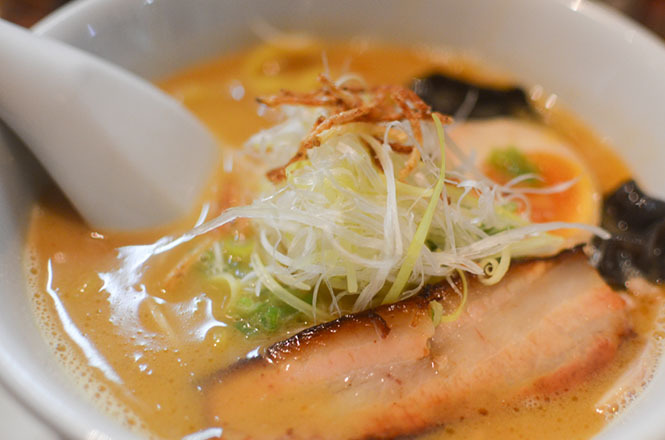 The curry ramen also flourishs in competition with Muroran, approximately 30 ramen restraunts serve the curry ramen. 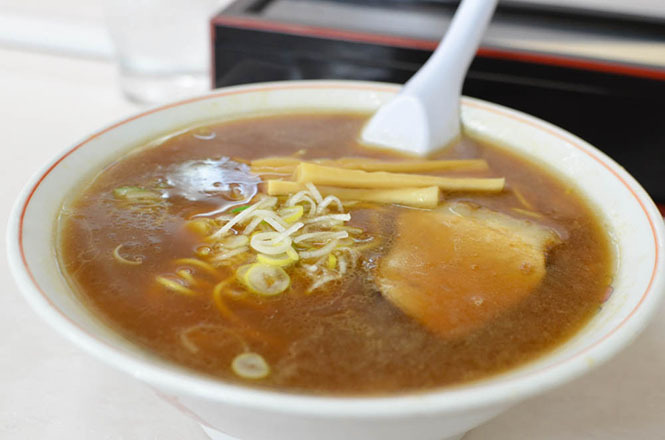 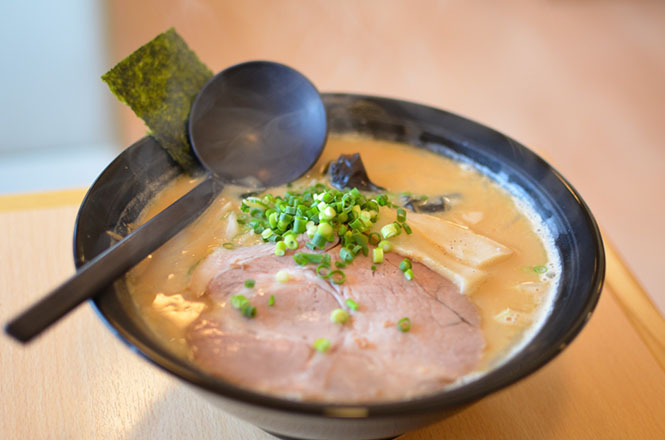 The following is a list of ramen restraunts that got the Bib Gourmand in MICHELIN GUIDE Hokkaido 2012 Special Edition. 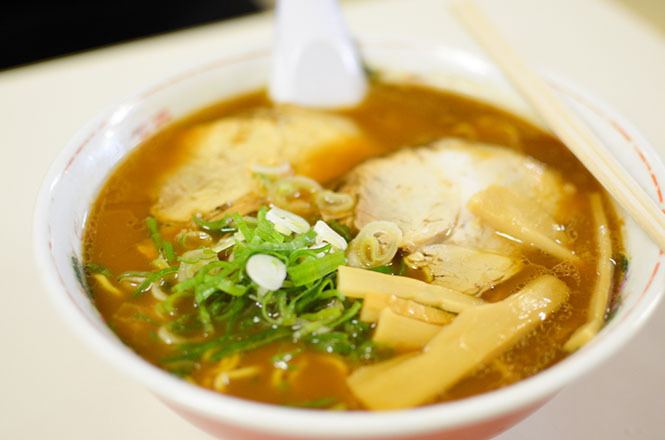 Because Hokkaido is very large, it has many kinds of ramen according to the number of towns. 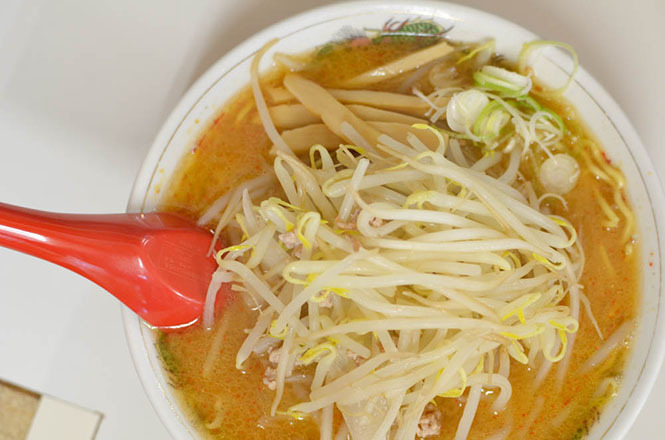 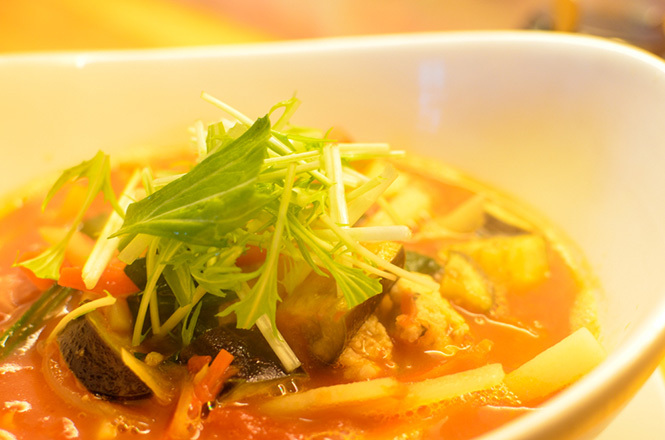 Each owners are particular about local ingredients and about soup. 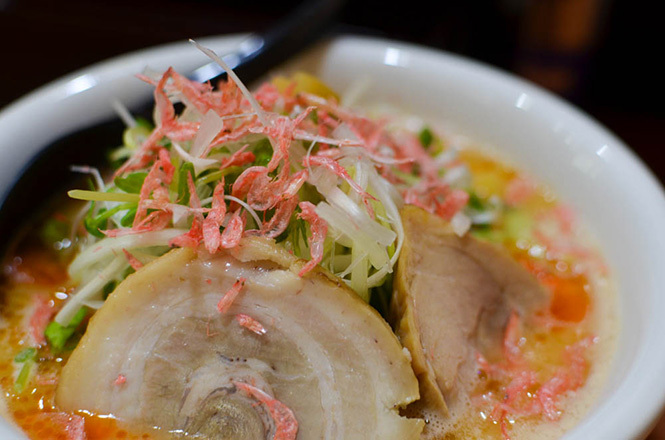 Please eat their ramen which they exercised their ingenuity.